It’s been a very exciting month for us here , our crowd funding campaign to raise funds for an electronic make over of the shop was launched. We were amazed to see our goals hit in less than 24 hours! There was an over whelming response to our bid , and were are delighted to be closing the bid in the next week. There is still an opportunity to lend and be a part of a busy Dublin based family owned business! Peer to peer lending as it’s known is a great alternative to bank borrowing and offers people an insight into other fellow local businesses . We will offer a discount to all of our lenders as an incentive. We look forward to updating our very out of date till system! Thanks to Linked Finance for all their support. It will be a nice bonus to our 20th Anniversary celebrations next month. 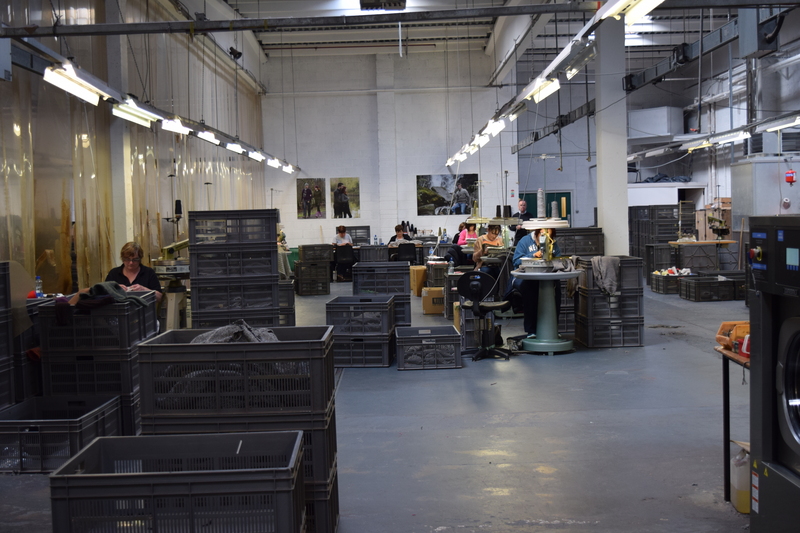 We had the pleasure of visiting the Fisherman Out of Ireland factory in Kilcar County Donegal last week. 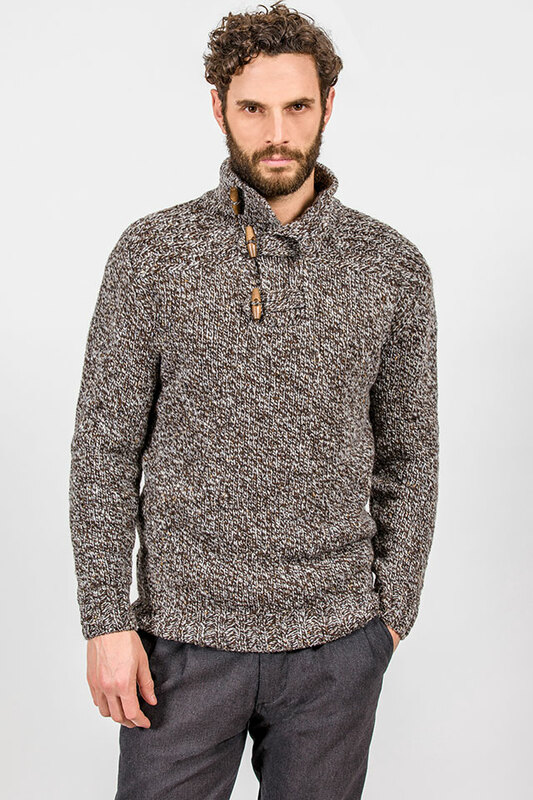 Fisherman was set up 22 years ago by Dubliner Des Byrne making high quality high end knitwear using local wools as well imported cashmere and extra fine merino wools. Fisherman have always stood out from the crowd for their high quality fabrics and design blending the traditional with the very fashionable and contemporary. Here is an example of a ladies polo neck made using 100% extra fine merino wool, extremely soft to the touch , incredible styling, a very modern take on an Aran Style Polo that we have ever seen before. This style will be in Stock the end of October 2015. 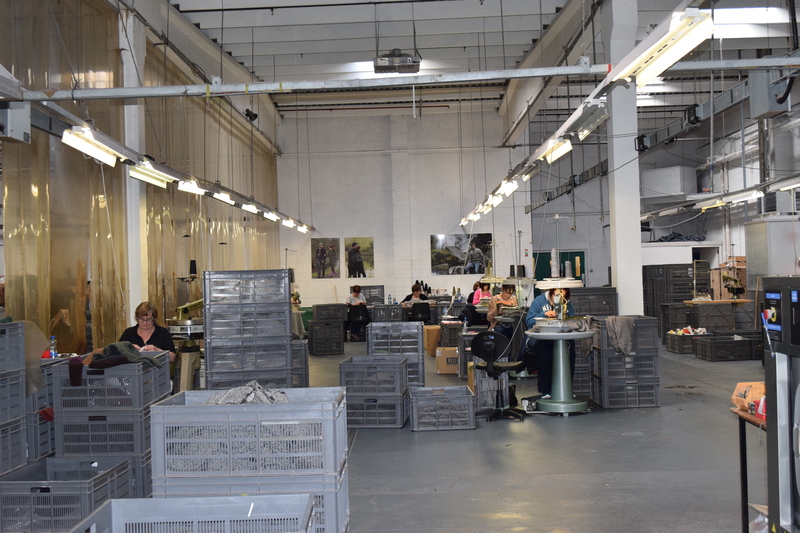 Here is a photo of the staff hard at work at the factory in Donegal. 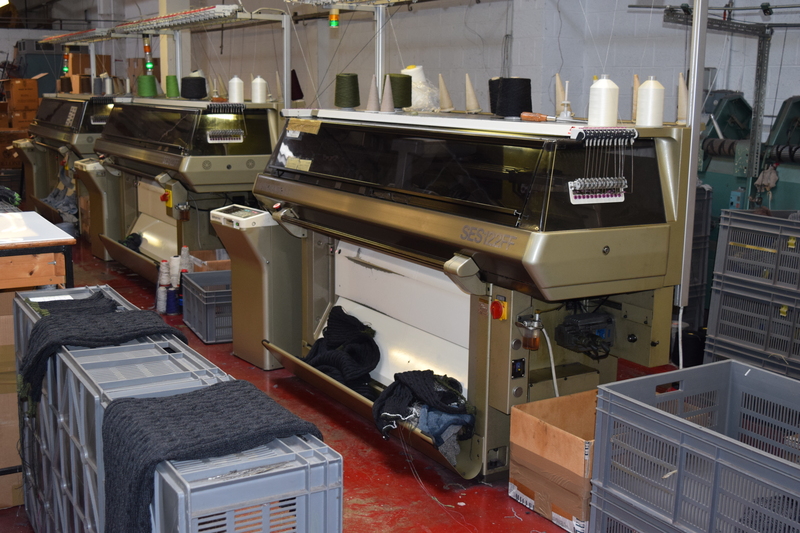 Each garment begins on a power loom for 30-100 minutes depending on the detail, it then passses 7-10 stages of checking , hand finishing, quality control, steaming and pressing. An incredible process, all here in Donegal, employing local people and sending Donegal products worldwide. It really is a special thing they do here. Their brochure shots were taken in Killybegs County Donegal and blend the Fisherman look fantastically. Here is another style we having coming next month…. We are really looking forward to stocking this beautiful range all made in Donegal.